Fringed by palms, cheap bungalows and bathed in golden sunshine, the Mekong island of Don Dhet is the most “beach” like destination of landlocked Laos. Sleepy doesn’t even begin to describe the daytime vibe of this classic backpacker hub. Try languid, lethargic, somnambulant—comatose. Part of Si Phan Don, literally meaning 4,000 Islands, for many travellers Don Dhet and neighbouring Don Khon are the only two islands of this region that they will visit. In the ancient Greek epic the Odyssey, the hero Odysseus is trying to make his way home after the war, a long journey that is impeded by monsters, witches and other obstacles that test his resolve. Along the way he arrives at the land of the lotus-eaters, an island where people live in a blissful worry-free state of sleep and apathy. His crew succumb to this world; Odysseus has to forcefully drag his crew back to the ship and tie them up in order to sail away. If that island really exists, it’s not in Greece, it’s in southern Laos and its name is Don Dhet. Step foot on the island and leave behind all your cares, lose all sense of time. Here, marathon hammock sessions are an Olympic sport. The most people exert themselves is when trying to reach for a cold beverage. Beware of gazing at the river for too long, it is a cunning witch seductively lulling you into a dream-state. Snap out of it and you’ll realise you were supposed to leave three days ago and your Lao visa has expired. 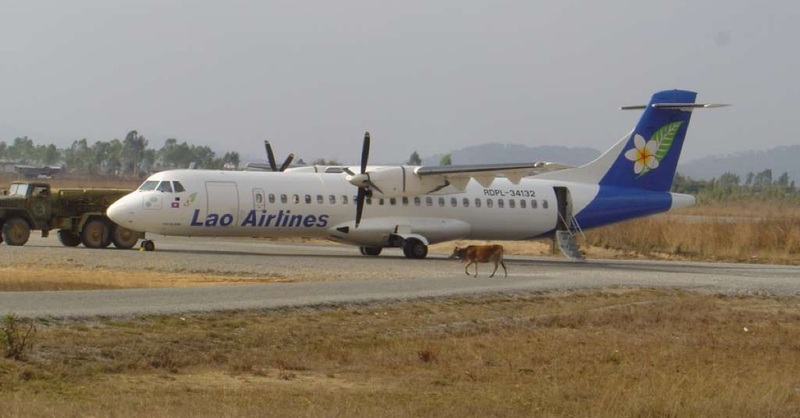 For better or worse, Don Dhet is either a traveller’s first or final impression of Laos, the irony being it isn’t Lao-like at all, abnormal compared to rest of the country in many ways. This isn’t the place to experience Lao culture, tradition or food. If, on the other hand, all you want to do is unwind and meet other travellers, then you’re in the right place. The days of one-dollar huts sparsely dotting the riverbanks are gone and now accommodation and restaurants intensely cover the shores for over a kilometre on both the sunrise and sunset side of the island. Though not the sightliest of development, the shambolic sprawl remains the cheapest place for accommodation in Laos, and now there are options for those who prefer more comfort. And unlike Laos’ other backpacker hub Vang Vieng, which has reached a phase of popularity and development where it’s being paved over for taller and flashier hotels, the quintessential Don Dhet experience remains those wooden bungalows, riverside hammock-ing and waking someone up for service. For some, relaxing by the river, living cheaply and meeting new friends is what travelling is all about and for that Don Dhet is fulfilling. For others, it’s exactly the opposite of what they are looking for. This style of traveller should keep in mind that there are other islands of Si Phan Don. A short boat ride to Don Som or a motorbike whirl around Don Khong will show you real village life. Don Dhet is what it is and judging by its immense popularity, plenty enjoy it. And where else in the world can you buy and proudly wear a “BEEN THERE DON DET” singlet? Don Dhet and Don Khon can be reached from Ban Nakasang village on the mainland. Boats deliver passengers to a landing in Ban Hua Dhet, at the northern tip of the island. This is the main tourist hub with a high concentration of bars, tour offices and shops. From here there are two choices: follow the dirt path along the east (sunrise) side or the west (sunset) side. A few tracks crisscross the island connecting the two coasts. There’s a secondary boat landing at the old French pier, 1.5 km down the eastern coast of Don Dhet. Tour groups often dock here. The boat from Nakasang can drop you off at this pier. It’s well worth researching if your accommodation is close to this dock, saving you from a sweaty hike with your pack. Accommodation line the northern half of the island. The further south you go, the quieter and more spaced out the places become. Keep in mind that the dirt track is bumpy when dry, mucky after a rain. There’s no lighting either so if you plan to frequent the nightlife near the boat landing, keep this in mind when deciding where to stay. The French bridge connects Don Dhet and Don Khon. It’s nearly 4 km south of the boat landing on the eastern side of Don Dhet. There’s a 35,000 kip toll to cross, which includes admission to Li Phi waterfall. Hang onto the ticket if you plan to cross multiple times. Internet is available on the island with free WiFi advertised in eateries and many accommodation, usually not in the rooms but at the guesthouse’s restaurant. Whether it works is a different matter. The internet is quite poor and many use 3G. While this is fine with one person connected, when people congregate with their phones, the internet slows down to a snail’s pace. If staying connected is important, buy a SIM card and data plan. Telephone signal can also be intermittent. There is no post office, police station and hospital on Don Dhet. The nearest facilities are all on Don Khong, better medical facilities are in Pakse. There are no ATMs on the island. There are two ATMs and money exchange in Nakasang. Shops in the tourist strip can exchange foreign currency and some offer a cash advance service from credit cards at a premium. It’s best to have enough cash for your stay before arriving to the island though if you have to take the boat to Nakasang to use the ATM, you wouldn’t be the first tourist to do so. Please sign up as a Travelfish member to download the Don Dhet guide PDF (7.1 MB, 42 pages). Membership costs just A$35 per year (less than A$1 per week) and gives you access to over 250 PDF guides. Last updated on 15th February, 2017. Browse our independent reviews of places to stay in and around Don Dhet. Read up on where to eat on Don Dhet. Check out our listings of things to do in and around Don Dhet. Read up on how to get to Don Dhet. Planning on riding a scooter in Don Dhet? Please read this.  Use the above map to find specific destinations in and around Don Dhet which are listed on Travelfish. Bed icons indicate a guesthouse, hostel or hotel, the knife and fork is an eatery or bar and the four-way circular thingy marks sights, attractions and other points of interest. Click on any icon for a short pop-up and a direct link to the page for that spot. If you are in the area, use the teardrop icon near the top left to show your position on the map (you'll need to allow position sharing for this last feature to work).